Queenstown is a gateway to the stunning Milford and Doubtful Sounds in Fiordland National Park. Book a return coach and scenic cruise or for those with a higher budget, combine a thrilling scenic flight with a scenic cruise. It takes approximately 5 hours to reach Milford Sound by road. There are numerous boat cruise operators that depart from the main wharf with lunchtime sailings being the busiest due to the many large tour groups arriving at this time. Most of the cruises are between 90 minutes and two hour. Scenic flights from Queenstown Airport to Milford Sound take just over 30 minutes with a fly-cruise-fly being the most popular option. 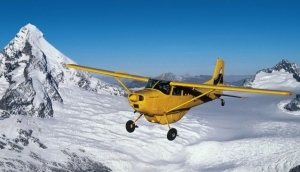 Add more flying time for flights departing from Wanaka. Doubtful Sound is the larger of the two and less accessible. Operators will transport you by coach to Manapouri where you'll then hop on one of the boat cruises across the lake, to reach the Sound.